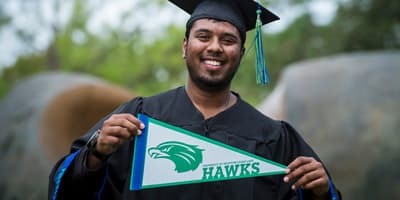 A college education is one of the most important investments you’ll ever make, and a UHCL degree is one of the best values in Texas. But we know that even when you’ve put in the work academically, achieving your college goals can still feel like a long way off financially. The Office of Student Financial Aid can help. It’s Your Money. Come and Get It. 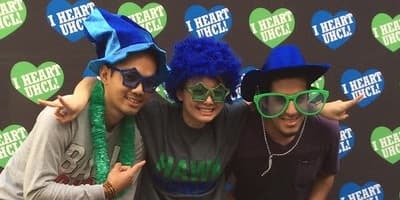 Nothing makes us happier than finding ways to make a match between you and UHCL. You can get an automatic transfer scholarship without even applying, if your grades are good enough. We have a long list of other resources you can tap for help finding outside scholarship sources, putting together a budget and keeping track of the aid process. You’ll be expected to contribute as much as possible to cover your tuition, fees, room and board. That might mean dipping into savings, earning money from a job or tapping other assets. But it’s not as daunting as you may think: Most UHCL students don’t pay the full cost of college on their own. Last year, for example, two out of three UHCL students received some kind of aid package. 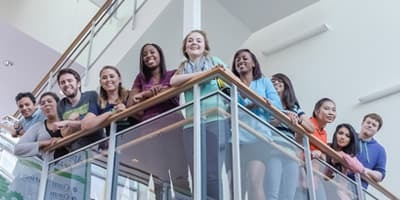 Everybody’s bottom line is different, but you can use our Net Price Calculator to get a good idea of how much a UHCL education is likely to cost and then estimate the aid you may be awarded. All students seeking aid – whether federal, state or from UHCL – need to file the Free Application for Federal Student Aid (FAFSA). To have the best chance at getting the most need-based aid possible, we recommend submitting the FAFSA by October 1 for the upcoming school year (Fall 2018, Spring 2019 and Summer 2019).